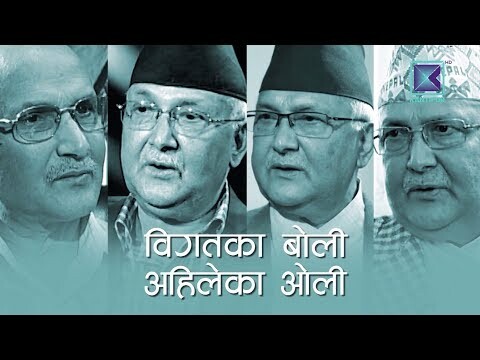 Khadga Prasad Sharma Oli more commonly known as K. P. Sharma Oli, is a Nepalese politician who served as the 38th Prime Minister of Nepal from 11 October 2015 to 3 August 2016. A member of the Communist Party of Nepal (Unified Marxist–Leninist), he was the second Prime Minister under the newly adopted Government. This program was aired in Kantipur Television on 18 December 2017 at 9:30 PM.